The paper is available in university libraries. Pellets of some mollusks in the biogeochemical flows of C, N, P, Si, and Al. – Doklady Biological Sciences, 2001. Vol. 379, P. 378-381. ISSN: 0012-4966 (Print) 1608-3105 (Online) Distributed by Springer, [email protected] [co-authors: S.A.Ostroumov, Kolesnikov M.P.]. Translated from the original Russian edition: Доклады академии наук [DAN ] 2001. Том (Vol.) 379. No. 3. Стр. (P.) 426-429. Pellets of some mollusks in the biogeochemical flows of C, N, P, Si, and Al. – Doklady Biological Sciences, 2001. Vol. 379, P. 378-381. (Translated from: DAN 2001. Vol. 379. No. 3. P. 426-429). ISSN 0012-4966. Distributed by Springer, [email protected] [co-authors: S.A.Ostroumov, Kolesnikov M.P.]. Until now the role of mollusks as links between ecological and geochemical processes was underestimated. 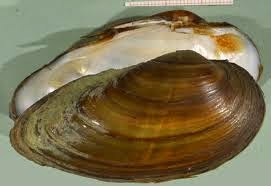 The paper discovered the role of mollusks as key biomachines that drive massive flows of chemical elements including C, N, P, Si, Al in the biosphere, and hazards from pollutants as inhibitors of these flows. New data on coupling of geochemical and ecological (hydrobiological) processes. 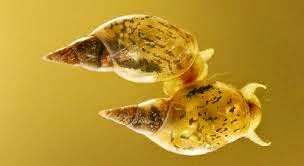 The role of freshwater mollusks, pond snails (Lymnaea stagnalis) in the flows of chemical elements in the biosphere was studied by detecting the elemental composition and amount of pellets produced by the mollusks. 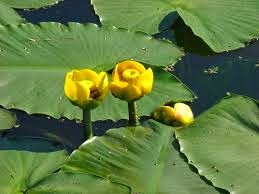 (4) the transfer of matter and chemical elements (C, N, P, Si, Al) with the pellets of L. stagnalis per unit biomass of mollusks and per unit area of the ecosystem of the pond. Synthetic surfactants tetradecyltrimethylammonium bromide (ТDТМА) 2 mg/l, sodium dodecylsulfate (SDS) 1-2 mg/l, and the laundry detergent (one of common detergents, Tide-Lemon) 75 mg/l inhibited the trophic activity (feeding rate) of the snails (L. stagnalis). Percents of food assimilability of taxons of invertebrates, from Rotatoria (48-80) to Diptera (1-31)]. Explanation of some comments to the title of this journal: after 1991, this journal is an English translation of proceedings of the Russian Academy of Sciences (not of the USSR Academy of Sciences). However, in some computer data bases the old comment on the title (with mentioning of the USSR, namely: proceedings of the Academy of Sciences of the USSR, Biological sciences sections) is kept. The mention of ‘USSR’ is outdated, obsolete. The bottom line is: the formal title of this journal is: Doklady Biological Sciences. Innovative pape on how aquatic molluscs function as part of biomachinery and mechanism to transfer chemical elements through aquatic ecosystem. The first paper in which the quantitative measurements were reported on how much of the chemical elements are being transferred through ecosystem in the form of pellets. ** First measurements, first publication: New quantitative data on how aquatic mollusks drive fluxes of the chemical elements.